since you have to be extremely innovative, driven, resourceful, motivated and very creative in order to be seen and heard all possible relevant places, and especially in order to make any revenue from the music. That’s why you have to get out there live and play for the crowd, which is really fun too. It’s kind a great that it’s all back to the artist and your own self control again, you can achieve a lot on your own, but it’s really hard work, like 24-7. It’s empowering to be in control working independently making sure you overlook everything 100%, hands on, and have the final say, and it’s also a lonely road at times because you can do a lot as a one man band, but then again you need that musical family and support. I try to find the balance and make sure to include my friends along the way for support, guidance etc. This way I only have myself to blame when I slip, and that get’s boring, so I stay focused, positive and upbeat. I gain a lot of energy by meditation, making my daily yoga and fitness exercises, by eating healthy, I get my rest, and I try not to take myself too seriously. I laugh and make jokes any possible chance I get. Its a big fun animal and you meet so many interesting people, I love it. Your new next friend is just one click away. But you have to find the balance. I draw the line when it gets too personal. Beyonce’. She seems extremely self driven, ethical, resourceful, powerful, talented and honest, with a very strong soulful artistic and personal integrity. She is the real deal. I do not sell out, I simply can’t. I always follow my heart, my vision and my instincts…..I let my self get inspired from all kinds of personal experiences, feelings, a mood., travel, meetings etc…. being numb, shallow and empty. being true to who you are, BE YOURSELF, being honest, follow your heart and your instincts. Walk that extra mile… Name one success story that you are particularly proud of. Explain why you considered this a great success and how you achieved it.When I moved to the States and followed my dreams. I worked very hard, and it paid off, I met so many wonderful extremely talented people in the business, and many are still my very good friends. Stay true to yourself, improve something great every day, and great things will manifest. 3)I take time to respect and listen to others every day and I perfect my craft every day, always try to do better…..Lazyness does not exist in my life or in my work. I had an internship when I attended Elementary School/Highschool before going to the Academy Of Music: Singing, touring and recording with famous Danish rock groups like Lars Lilholt Band, Gnags, Kræn Bysted’s, Halgrim and Baldur. This inspired me to pursue a professional music career from day one. I wanna show a deep and broad variety of my work as an artist, a singer and as a producer. My lyrics tells a story with a deeper meaning. It will be marketed via social media campaigns and via radio campaigns, interviews etc. Its OK, it’s a cool promotion tool, and you make yourself seen and heard. But EPs and albums are just as important so you can show your fans a bigger and broader variety as an artist. Here you get the chance to go deeper and show more of your artistic colors. I try to show the audience and my fans what I am really about, and i believe it shines through my work, my art, my positive attitude and my songs. I live in the Copenhagen area by the beach…. The music scene in Copenhagen is amazing, we have live scenes, joints, events, band and artist support and art all over town 24-7.Its very very inspiring. All over town you will find cosy bars and cafe’s with art, live music and amazing galleries, museums, parks, joints, events, organic and gourmet restaurants, Michelin restaurants, The Tivoli Garden, live ourdoor scenes, The Jazz Festival, harbor festivals, dance events, and so much more, it’s endless. I love walking and running by the beach with my 2 big he hunter dogs, Vizsla Boys, I love going to the gym with my favorite music in my ear pods, and I love to travel, meet new inspiring people, find new spots and places when I travel, I read, do my morning yoga and experiment with all kinds of healthy food.Besides I love fooling around in my studio, finding new sounds, loops, and finding new cool gear. I also love writing and recording my own songs and producing my own videos. I love shooting add. footage to my videos when I travel as well. I really love performing too, creating a lovely vibe along with my audience. Anne Marie releases the 4th single “I Won’t Run Away” on August 11th from her upcoming 2 EP albums “UnZipped” – (Billberg Entertainment Ltd / Yellow Rhinestone Records/Artista Group Santa Monica) – Globally available on all digital mega stores and streaming platforms. 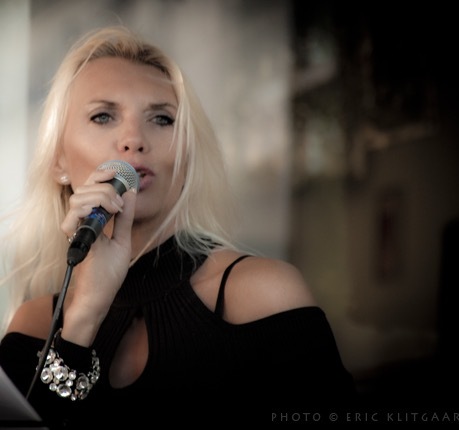 The classy “Disney Ballad” is compassionately performed by the Danish singer-songwriter whose influences range from Pop to Soul, RnB, Motown and Dance. “I am very excited about my solo career, which is now expanding and taking off. My recent single “U Belong To Me” is still rapidly climbing both the European, Asian and The American charts, and it’s getting solid views and hits on VEVO and YouTube”. 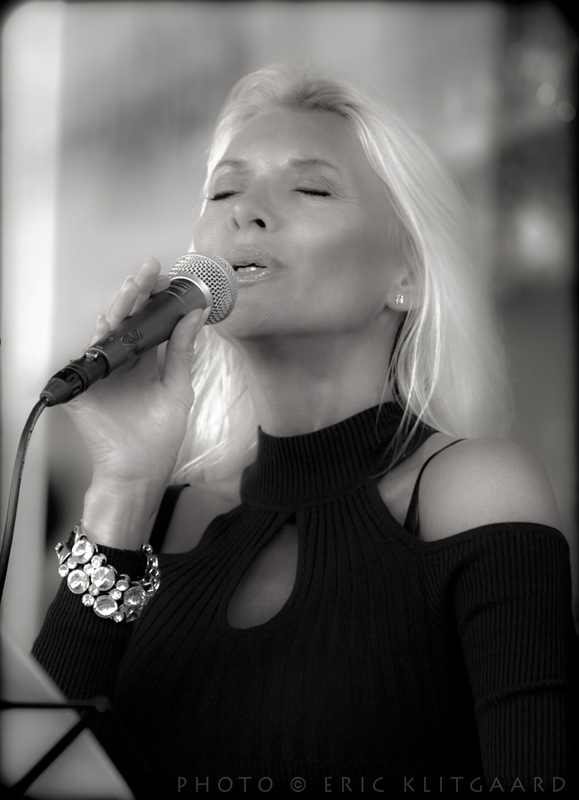 Anne Marie was based out of Santa Barbara and Los Angeles California for 8 years, where she worked with the elite in the music biz such as Narada Walden, Bill Champlin, Tamara Champlin, Michael Caruso, Greg Phillinganes, Scott Spock, Robert Palmer, Peter Roberts, Bruce Gaitsch, Janey Clewer, Britney Spears, Brian Mann, Ken Larish etc. Several of Anne Marie’s songs are featured worldwide on TV and Film. One of her recent singles “Feel U” was broadcast in the Amr. Movie “Every Day” starring “Helen Hunt”. Anne Marie’s prior singles such as “SupaSexual and “I Wanna Be” reached Top 10, Hot Rotation (DRP4), and the worldwide dance charts. They are play-listed again at DR P4, nationwide.